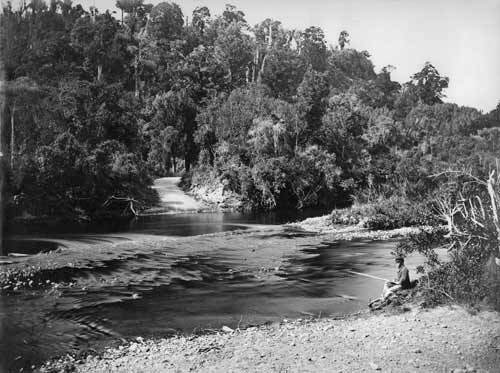 A ford of one of the many rivers that cleaved the forest. A wall of vegetation surrounded the road through the Forty Mile Bush. Ancient forest giants loomed over travellers, blocking out the sky. Initially, men found work on road and rail building. Life was work – in the weekends they joined their wives and children clearing bush on their own smallholdings.